MANILA, Philippines - In the string of controversy surrounding the dengue vaccine, Dengvaxia, one student died while another one remains in the hospital for severe dengue just months after receiving the shot. Christine Mae de Guzman, a grade 5 student from Mariveles, Bataan died October last year, months after she received one shot of Dengvaxia. De Guzman just spent one day in the hospital before dying due to “disseminated intravascular coagulopathy and severe dengue.” She had no previous history of dengue. A student in Tarlac is currently in the hospital due to severe dengue. She completed the three doses of Dengvaxia and had not been exposed to Dengue before. The student’s condition is now improving but is still closely being monitored. 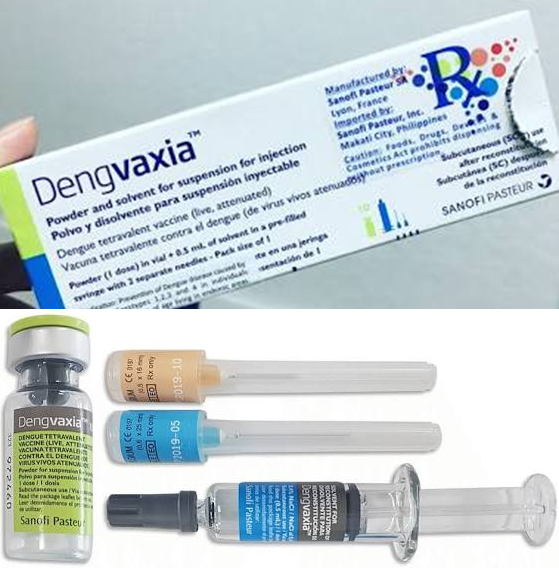 This all came after Sanofi Pasteur, maker of the world’s first dengue vaccine Dengvaxia had released a warning on the use of the vaccine on those who have no previous history of dengue. Sanofi later on clarified their statement that it does not cause severe dengue but may increase the risk of hospitalization if infected. The statement had resulted to a public outcry after the Department of Health (DOH) had already given the vaccine to almost 733,000 students. As part of national vaccination program under the Aquino administration, the government procured P3.5 billion worth of Dengvaxia. Aside from Sanofi, Sen. Richard Gordon had called out former President Benigno Aquino III and former Health Secretary Janette Garin to be held criminally liable for their negligence. He claims that Aquino only met with Sanofi officials twice and "fast-tracked” the approval. The budget was even released on Dec. 29, 2015, or the eve of the 2016 election campaign. The World Health Organization (WHO) also clarified that they didn’t recommend the use of the vaccine for national immunization programs. A Senate inquiry and an investigation was already ordered by the Department of Justice. Malacañang already gave a stern statement that the “health scam” will not be swept under the rug. The DOH had suspended the immunization program while the FDA called on the “pull-out” of Dengvaxia in the market.